Industry 4.0, also referred to as the fourth industrial revolution, is a German initiative which promotes the computerization of the manufacturing industry where communication and IT systems automate production in a smart way creating connected intelligent factories. Smart intelligent factories are characterized by higher flexibility, efficiency and productivity as a result of adaptability, resource optimizations and human-machine interaction. The demand for higher customization and individualized products in manufacturing are also driving the Industry 4.0 initiative. The ultimate goal is mass production of single units meaning that single customized units can be produced just as efficient as traditional mass production. More data and information is being captured from systems, machines and devices and made available to IT systems. The information is processed on-the-fly enabling IT-based management systems to generate updated information for real-time control of the manufacturing process. This data network is often referred to as The Industrial Internet of Things (IIoT). 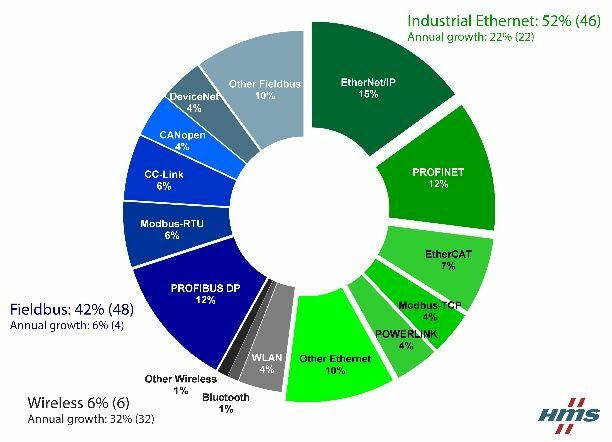 According to HMS Industrial Ethernet and Wireless are growing extremally fast and already exceed historically Industrial communication systems such as CAN, Profibus and Modbus. High quality clock signal is a must in case of communication protocols. Tight frequency tolerance and low phase jitter are crucial parameters. Additionally Industrial environment generates wide operating temp range and low aging demands. Failure of any device in network can generate significant cost caused by production line stop. Specification of each Industrial Protocols clearly describes required specification of clock signal. The most demanding one is EtherCat, which is distributed clock signal structure. F.eg. Beckhoff which is EtherCat standard developer and manufacturer of ET1100, ET1200 ASICs controllers specifies clock requirements as follows. Epson provides a large variety of different Simple Packaged Crystal Oscillators (SPXO) with various sizes, frequencies, OE/ST functions, and temperature ranges for every application. SPXO delivers excellent frequency stability without the necessity of temperature compensation and frequency control. Housing crystal units that consist of AT or BT cut fundamental or overtone and their oscillation circuit in the same package, Epson crystal clock oscillators are designed and manufactured to provide a stable output of signals when the set voltage is applied. Generally, when customers buy crystal units and use them in their oscillation circuits, they first need to provide analog settings prior to the installation. These include the settings of load capacitance, oscillation allowance, and variations in characteristics due to temperature changes. With Epson's crystal clock oscillators, these settings are already provide, so their output signals can directly control TTL and CMOS ICs. This shortens design processes for customers and contributes to standardizing parts to be used. On the top of that portfolio of programable oscillators (P-SPXO) provides flexibility for board-level designs. With 24-hour delivery, programmable oscillators are ideal for supporting standard and non-standard frequencies and quick frequency experiments for rapid prototyping. Prototypes can easily be converted to pin-compatible Epson fixed-frequency oscillators for production volumes.